We offer professional in-house recording, mixing and mastering services. We’ve found ways to do more for less for artists and record labels by keeping our overhead costs low maximizing the capabilities of our staff while streamlining our technical processes. By doing so, we’ve been able to deliver the absolute best recording, mixing and mastering services without sacrificing our high standards of quality. By offering lower costs on our services, it has allowed our client base of business savvy artists, accredited producers and record labels to do the same with their own overhead. By getting the best recording, mixing and mastering results, our clients then have the opportunity to invest the money saved into other necessities for their musical endeavors such as: producing music videos, more songs, promoting their albums, developing promotional campaigns, and so much more. It's time to reevaluate your thoughts on recording, mixing, mastering and where your production budget is going. 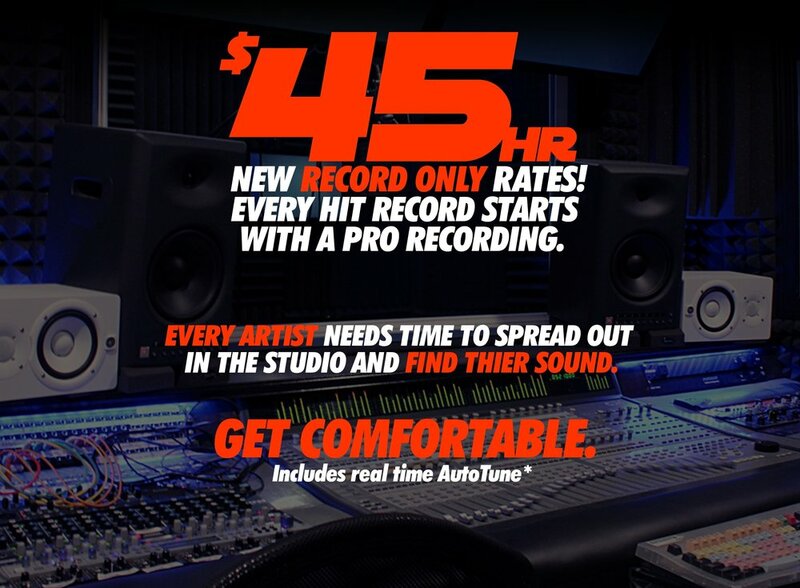 SoundLoft Recording Studios gives you perfect place to start saving without sacrificing quality. In fact, our mixing and mastering services typically sound better than even the biggest name studios and mastering houses. So why spend more? Work with one of our Associate Engineers and dive into Industry Quality Sound. Great for deadlines & presentations, streaming platform releases, Singles & video drops. Our mastering will take your home or our professionally recorded tracks to a whole new level of amplitude, brilliance and commercial clarity that you’ve been looking for. When artists record or mix with us in a full service tier session at Soundloft, our mastering services are readily available. Every hit record starts with a pro recording! Work with one of our Associate Engineers to complete the first step in the process of achieving Industry Quality Sound. The Best of our Full-Service Sessions with a taste of the finer things..
Closed session, no press, no posting.